Below are recently sold homes and condos in St. Petersburg, Florida that DWELL Real Estate was fortunate enough to be involved in this year. We were a little late in blogging this information so many of our sales are not here. We are only mentioning these sales to help educate you on the local real estate market (not to be braggadocious ;-)). If you are thinking of buying or selling in St. Petersburg, Sarasota, Bradenton, Sarasota, Bradenton, Bellaire, Clearwater, Downtown St. Pete, Indian Rocks Beach, Largo, Madeira Beach, Old Northeast, Redington Beach , Seminole, Snell Isle, St. Pete Beach, Tierra Verde and Treasure Island. Just call us 941.822.0708 or contact us here. 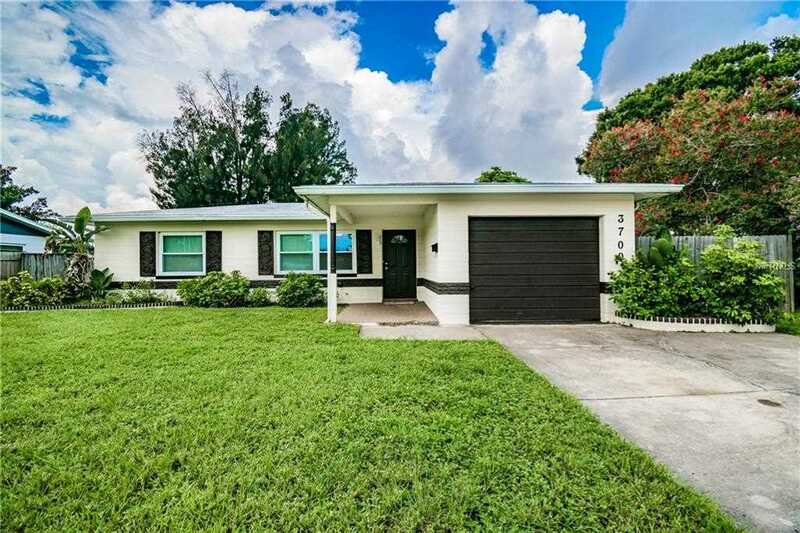 Use our St. Pete MLS search to view properties currently for sale. Brand new custom home with all the bells and whistles! Beautifully designed open floor plan with soaring ceilings throughout both floors. Off of the front porch, that stretches the width of the house, you walk into a huge great room that is open to the kitchen. The entire bottom floor is finished with real wood flooring and also has a guest powder bath. The amazing kitchen has quartz counter-tops, stainless steel appliances and solid wood cabinetry with soft close doors and drawers. Up the solid oak stair treads you start the up-stairs in an over-sized landing that leads to all 3 bedrooms. The master has a double vanity, huge soaking tub and separate large walk-in shower. The laundry room is conveniently location up-stairs with the bedrooms. Over-sized 2-car garage that is entered through the alley way. Nothing overlooked in this beautiful brand new home, that comes with a builder warranty! Jungle Terrace 2 BR 1 BA with attached 1 car garage. Your buyers will not be disappointed when you show them this home ! Enter into generous living area that leads into updated kitchen with granite countertops - stainless appliances and island for additional storage and counterspace. Two good sized bedrooms and updated bath. Off of the kitchen is an additional living space and dining area that leads out to backyard. Great backyard with Pergola and ample room for backyard fun! Attached one car garage and indoor utility area for washer dryer and tankless water heater. All of this with easy access to Gulf Beaches - regional mall - schools shopping and major roadways. Buyer and selling agent are advised seller has never occupied the property and should complete due diligence. Sq ftg - lot size - room dimensions - taxes - utilities - permits - HOA Fee's and dues ( if applicable) and condition should all be verified. Quaint solid block home with 2 bedrooms, 1 bath and a pool, ready for a new owner to give it a little TLC to make it shine. 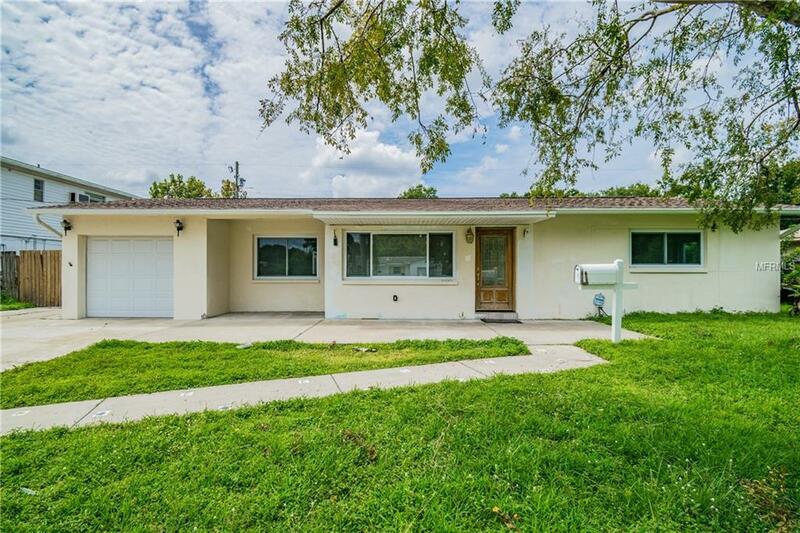 House is located in desirable Meadow lawn and has an attached one car garage and a fenced yard. Terrazzo floors throughout, gorgeous crown molding and beautiful built-in’s for all your storage needs. This home boasts an open layout that just needs finishing touches to make it perfect. All newer windows letting in ample natural light. Large landscaped backyard with pool. . Close to shopping and 4th Street where you have many restaurants and shops. Not to mention it's only a short drive to downtown St Pete. Come see it today! Maintance items are a broken pool pump, fresh paint, the cage screens have been removed, toilette and the backdoor needs replaced. Wow! 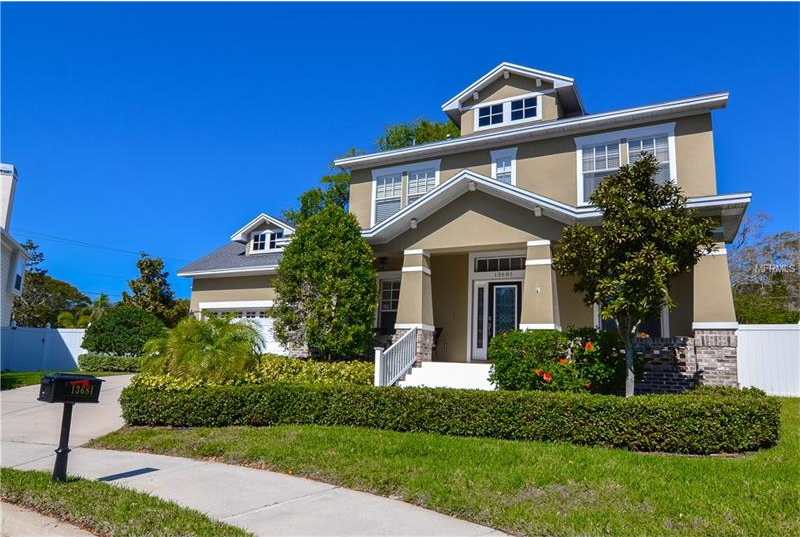 Enjoy one of the most desirable waterfront living areas with spectacular views of the Bayou from this luxury home located in the Grenada Terrace National Historic District of Old Northeast St Petersburg, just minutes from the trendy,energetic Downtown. Built in 1926, this 3,852 sqft colonial revival style home was carefully renovated to respect the historic character, and flavor of the 1920s,while adding every modern conveniences. Original doors, molding, casting and architectural features were restored. This home features 4 bedrooms, 3 full bathrooms, 2 half bathrooms with a 3-car garage and sits nicely on a corner lot. As you enter through the front door you will be swept off your feet by the beautiful wood flooring throughout the home.To your right you will notice the formal living room and garden den. To your left we have the formal dining room. As you continue into the award winning kitchen you will be taken back by the beautiful period Tiffany blue cabinets.Outfitted with new, professional-grade stainless steel appliances and the breakfast bar,all fun yet tasteful! With plantation shutters on all the windows and French doors leading to the outside lanai,the amazing waterfall pool and spa was built just two years ago.The spacious master bedroom upstairs has its own balcony and walk-in closet.The master bathroom comes with a dual vanity,jacuzzi tub and separate standing shower. Across the hall you have two large bedrooms a half bath/laundry room and a full bath which complete the upstairs living. Location and Lifestyle- this is what it is all about. Right in the center of all the action, this luxurious condo on exciting Beach Drive offers sweeping floor-to-ceiling views of vibrant Downtown St. Pete. Right in the center of all the action and only mere steps from world-class restaurants and nightlife spots, museums and concerts venues, this beautifully appointed condominium is a rare find. 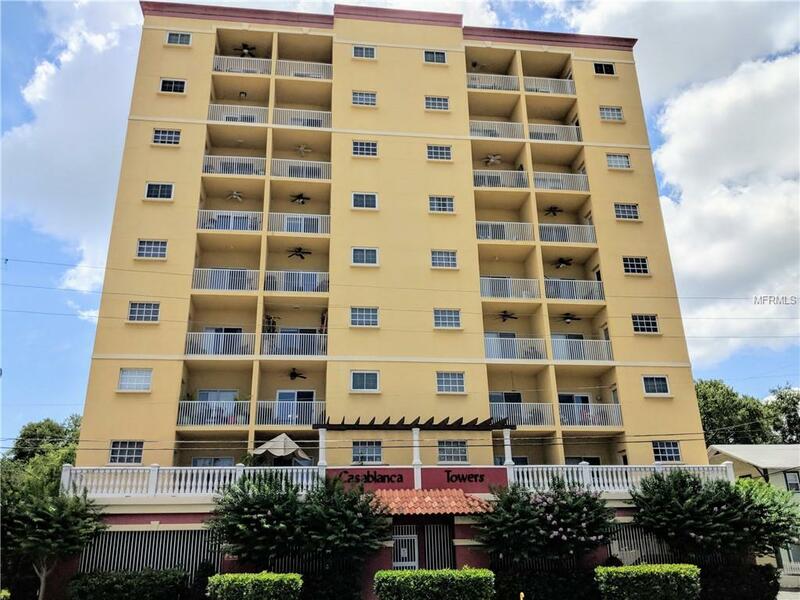 Located on the 23rd floor of a luxury condominium building, it offers sweeping floor-to-ceiling views, a private elevator foyer, whole house sound system, separate media room/den/office, formal & family dining & interior laundry. The kitchen was designed to please the most discerning chef and offers stainless steel appliances, wine cooler, a breakfast bar, granite counter tops, hardwood cabinetry and best of all a gas range. Wake up to sweeping views of the water and Downtown St. Pete from the luxurious master suite with ensuite spa-like master bathroom with oversized shower, granite counter tops, and soaking tub. 2 assigned, secured, & covered parking spaces & a climate-controlled storage space and world-class amenities: 24hr concierge, onsite manager, catering kitchen, social rooms, state-of-the-art fitness center, pool & spa, herb garden, and grills and all of this just steps away from Beach Drive, the famous Vinoy, shopping, dining, night-life, theaters, waterfront parks & world-class museums. 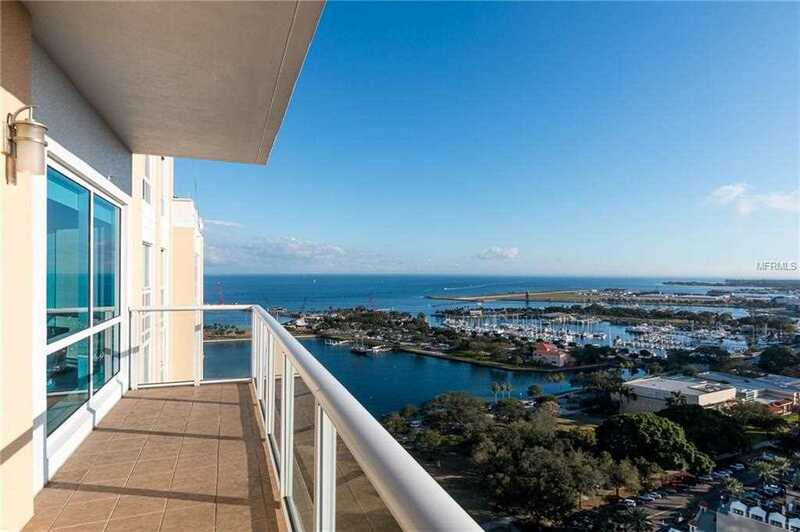 Do not miss out, views like these are no longer available in Downtown St. Pete- schedule your showing today! This one won't last long! 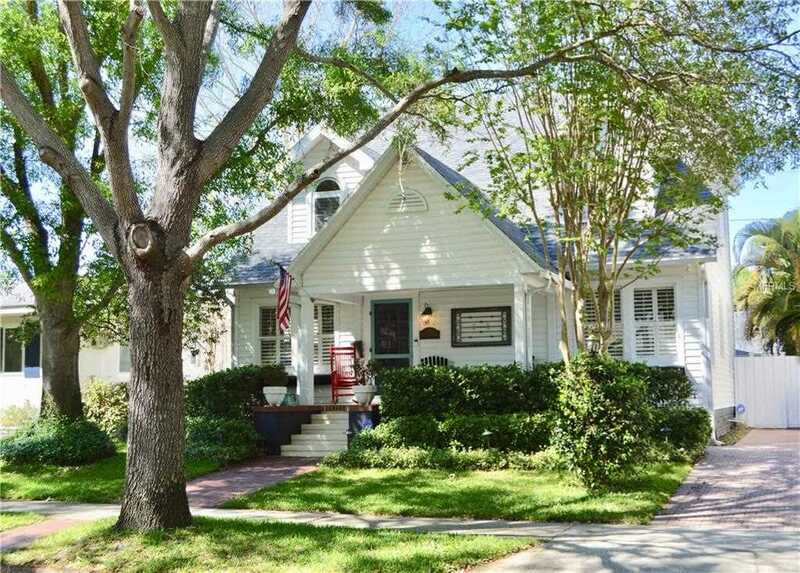 Move in ready adorable 2 bedroom 1 bath home in a beautiful established neighborhood. New wood plank tile floors throughout, 2016 Kitchen appliances, updated kitchen and bath in 2015. Open floor plan that lives much larger than on paper. 1 stall garage, all newer windows with hurricane strength in the kitchen and living room from 2015, fully fenced spacious backyard- this home has it all. Call to schedule your showing today and make it yours! Amazing Opportunity!!! Pasadena Golf Club Estates Pool Home!! 3 Bedrooms, 2 Bathrooms, Pool, and 2 Car Garage! Brand New Trane A/C System, Newer Roof (2014), Block Construction, and Newer Water Heater! Terrazzo Flooring Throughout! This Home Features High Ceilings in the Living Area, Master Bedroom with Walk-In Closet, Plus an Extra Living Area with Sliding Doors Leading out to the Pool. The Fenced Backyard Features Plenty of Space to Entertain with a Large Patio and Deck Area. This Home Provides the Perfect Chance to Have It All! Spacious 2 Car Garage with Brick Driveway! Great Location in this Desirable Neighborhood! You Will Enjoy Passing by the Beautiful Pasadena Yacht & Country Club Golf Course and Waterway on Your Way Home (See Drone Pics)! Very Close to Shopping(Publix,Winn-Dixie), Dining, Marinas, Bike Trails, Parks, Schools, Stetson Law School, Beaches, and Vibrant Downtown St. Petersburg!! Short Commute to the Interstate and Airports. While this Home May Need Some Interior Remodeling, the Location and Neighborhood are Already Perfect! Fantastic Opportunity to Remodel the Interior of This Home Exactly the Way You Want it! Call for More Information and to Schedule Your Showing Today!! 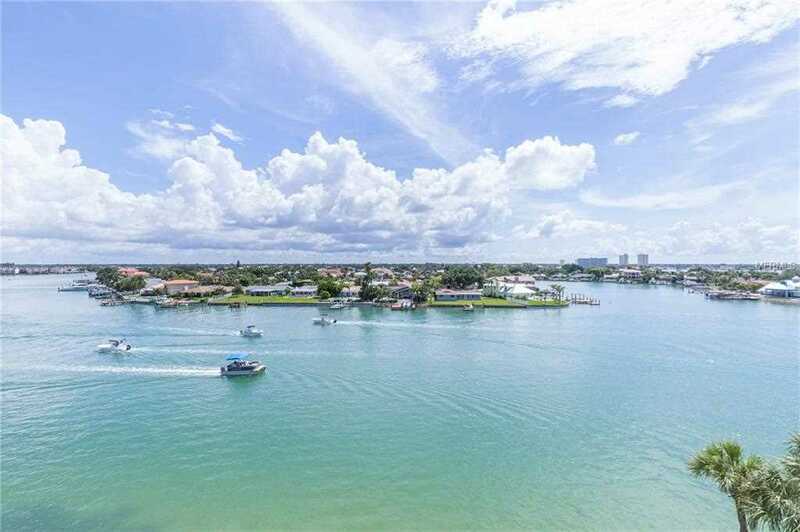 BEAUTIFULLY RENOVATED WATERFRONT CONDO in St Pete Beach Yacht & Tennis Club. Expansive water views in front/back. 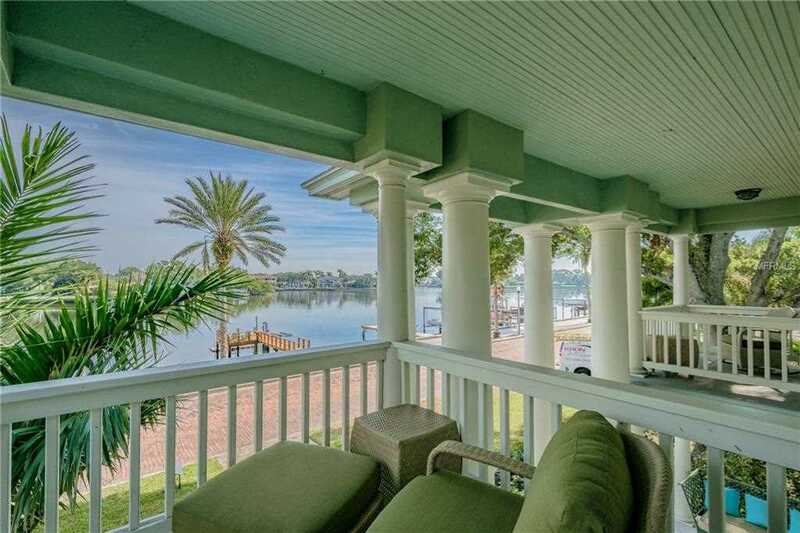 Catch a glimpse of the Gulf or enjoy the tranquility of the intracoastal waterway. Tremendous attention to detail in this bright, contemporary, open floor plan unit. Premium Hardwood Floors laid diagonally offer an upscale look. Stunning quartz countertops complement the solid wood cabinets - extras include pull out cutting board, custom storage for pots, pans, dishes, pull-outs in cabinets and pantry. Large island seats 4. What a delight to cook or bake in this well-planned, well-equipped kitchen! Appliances include Bosch fridge, dishwasher microwave; range is induction/convection and microwave doubles as a convection oven. European style washer/dryer by Ariston. 2016 AC. Trendy light and plumbing fixtures provide high end touches throughout the unit. The main living area is bright, cheerful and offers accesses the balcony via sliding door. MBR has a sleek, custom built-in desk and storage area. The walk-in closet has been expanded with bonus space. This unit is well-maintained, turn-key, furnished and awaits the lucky buyer who discovers its value and charms first. YTC complex amenities include heated waterfront pool/spa, a state-of-the-art fitness center, 7 HarTru tennis courts, club house, BBQ grills, saunas and beautifully landscaped grounds. 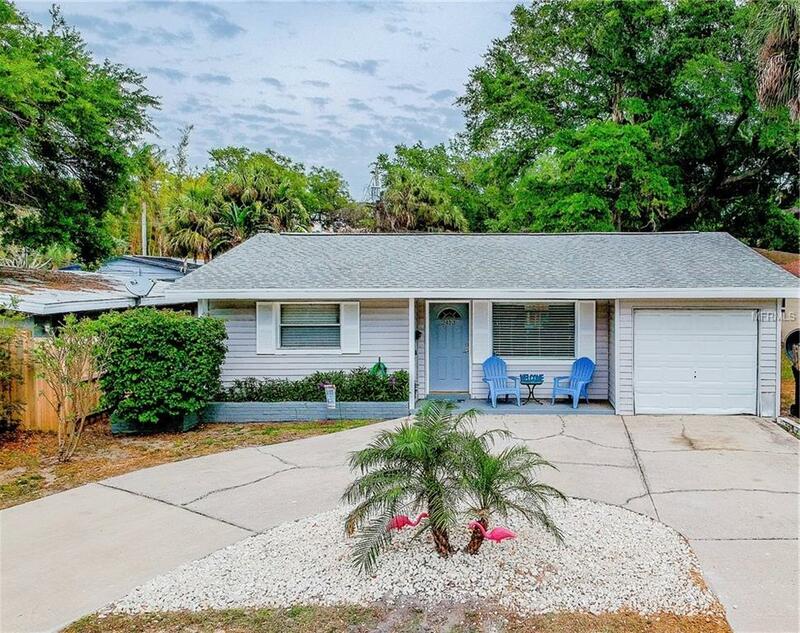 Appealing location close to shops, restaurants, beaches, transportation and trendy downtown St Pete. Welcome to paradise! Imagine living within minutes to everything Downtown St. Pete has to offer: restaurants, museums, shopping and the famous Saturday morning market! 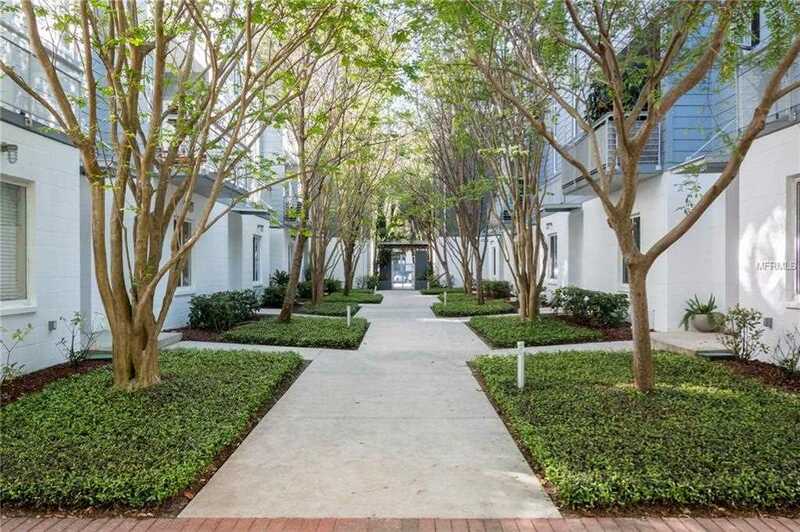 This corner unit 3 level townhome with attached 2 car garage offers a private courtyard, perfect for pups or outdoor entertainment. Community is completely secured with private access gate. On the first level you'll immediately notice the travertine floors that lead to the first guest bedroom with french doors to the private courtyard and full bath, as well as the 2 car garage. On the second level you'll find the kitchen with solid surface counters and elegant light fixtures throughout, beautiful floor to ceiling windows in the spacious living room looking out onto your private balcony with upgraded travertine flooring, surrounded by trees and plant life gives you a feeling of total privacy and serenity. All appliances and washer/dryer are included. On the third level you'll find the oversized master suite with walk in closet complete with california closet organization system and new windows to keep you cool. Also on the third level is the third bedroom currently used as an office, and en suite third full bath. 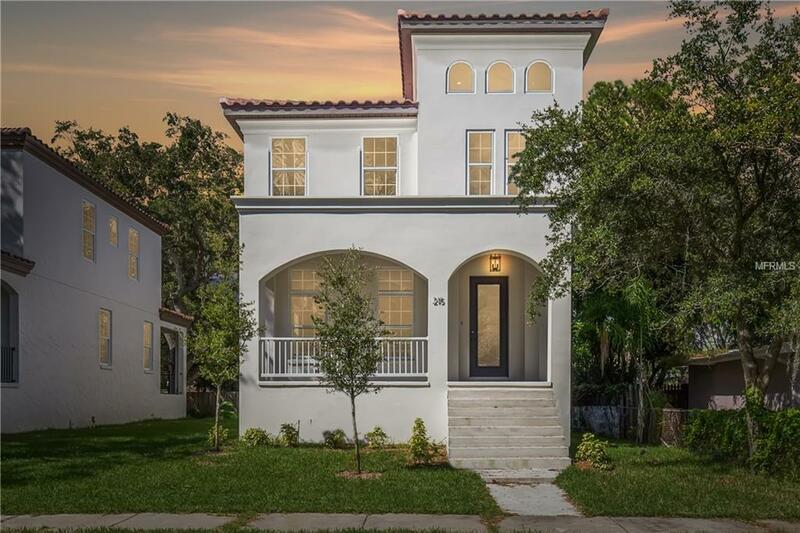 Don't miss this chance to own one of the most beautiful townhomes in St Petersburg. 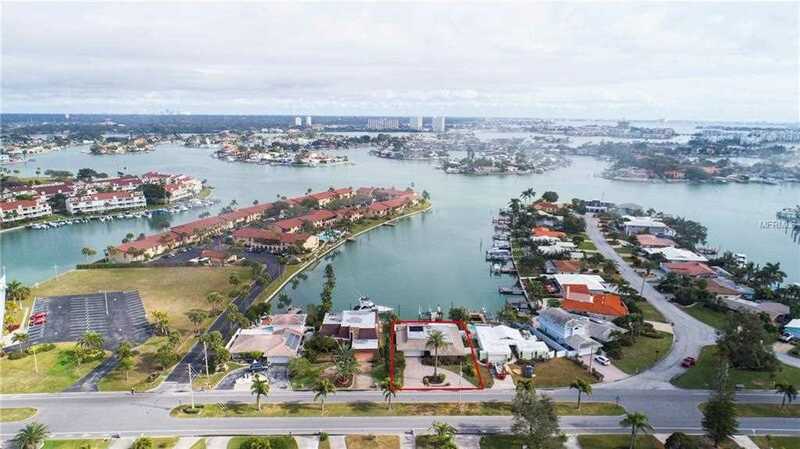 Beautiful waterfront home on Paradise Island! 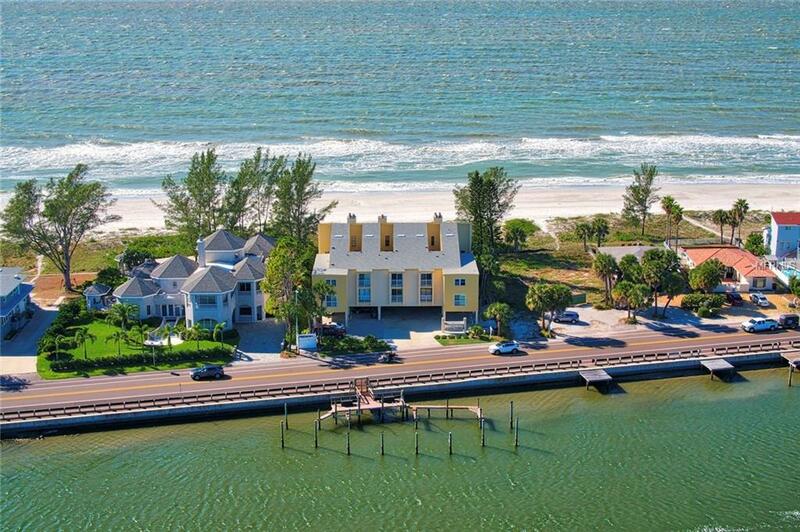 Breathtaking waterfront views, open floorplan and upgrades throughout! Kitchen features granite countertops and stainless-steel appliances. New dock with Trex, new pilings, electrical and a 10,000lb boat lift. Other upgrades include new outdoor gutters, fence, restored driveway, and new interior lighting. Elfa closets recently installed for your own customization. The waterfront pool make for a fantastic area to relax or entertain. Minutes from award winning Treasure Island Beach, amazing restaurants, Treasure Island Yacht Club, Johns Pass, and so much more! Call today and start enjoying the Florida Lifestyle you deserve.